Why is purchasing a refurbished computer your best option? This is a very good question, and one that we at Comprenew answer every day. Some people are put off by the “refurbished” tag, but it’s important to know what that actually means. Every Comprenew computer is cleaned and tested by our professional staff. Parts and pieces are replaced or upgraded and new software is installed. Most of what we do now on our computers is web-based. The quality of the browsing experience is typically more dependent on the speed and configuration of the network you are connected to, rather than the specifications of your computer. Displaying a web page is a simple task and not very dependent on hard drive size or RAM. A computer that is a couple years old will perform just as well as a more expensive unit purchased new. If you need a computer that can handle more advanced tasks, we can further customize the unit in our store to accommodate upgrades such as Dual Monitor Support (DMS), additional Random Access Memory (RAM), Solid State Drives (SSDs), or multiple Hard Drives. As a Microsoft Registered Refurbisher, we are also able to offer Microsoft Office 2010 at a discounted rate. Consumer-level machines are designed to be more visually appealing. This often leads to the use of materials that, while looking better, don’t offer the structural rigidity that commercial grade units do. Many new consumer-level computers are not upgradable or the upgrade options are limited. Commercial systems are built to appeal to IT departments. These departments are looking for durable designs and accessible components which facilitate the ease of repair and upgrades when needed. Most of the computers we receive that are good candidates for refurbishing fall within the “commercial-grade” category, which means that they are designed to last and are easy to customize. Any time that you purchase a refurbished product, there is a positive impact on the environment. Increasing the lifecycle of an electronic device helps preserve the earth’s raw materials and reduces the number of new electronics needing to be produced. As an electronics recycler, we see first-hand every day the copious amount of e-waste that is generated right here in our community. Of course buying a refurbished computer is going to give you a lot more bang for your buck. 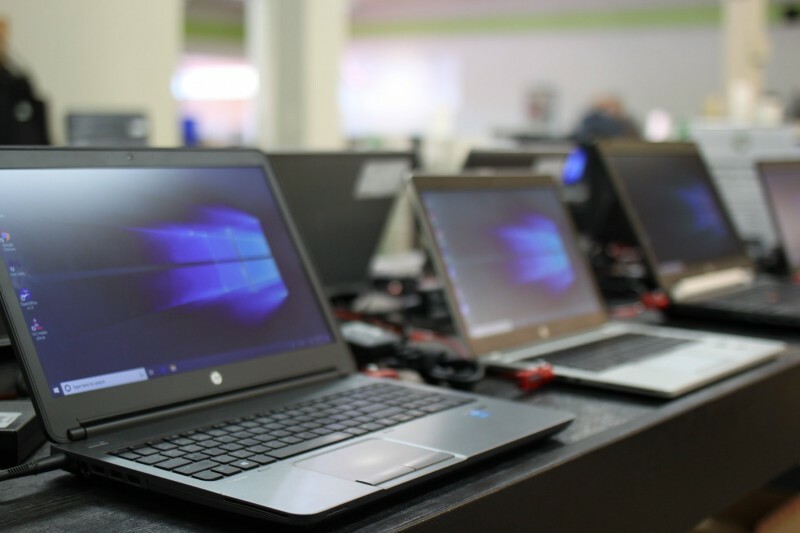 While some consumer-grade computers might seem similarly priced, it’s important that you take into account the differences in product specifications and durability. Here at Comprenew, we stand behind our product. Our computers come with a free 30-day warranty, and an option to purchase an extended 1-year warranty for just $29. We are committed to providing a wide range of computer models and specifications at multiple price-points to meet your exact needs. Comprenew is a 501(c)(3) nonprofit organization whose mission is to protect people and the environment from unwanted electronics by either extending their life-cycle or recycling their components. We are the only nonprofit in the world certified to both the e-Stewards and R2 standard for electronics recycling. Purchases at our store help fund free computer literacy and job-readiness programs to underserved members of our community. Learn more at comprenew.org.